One of the things I’ve really enjoyed doing is curing foods, particularly salmon. The beetroot cure I’ve smoked before has gone down really well with friends, so much so that that I was asked to make some for a Christmas Lunch. I love the smoky, sweet flavour of the beetroot cure but I thought I’d try something a bit fresher as well so I put together a Thai cure. 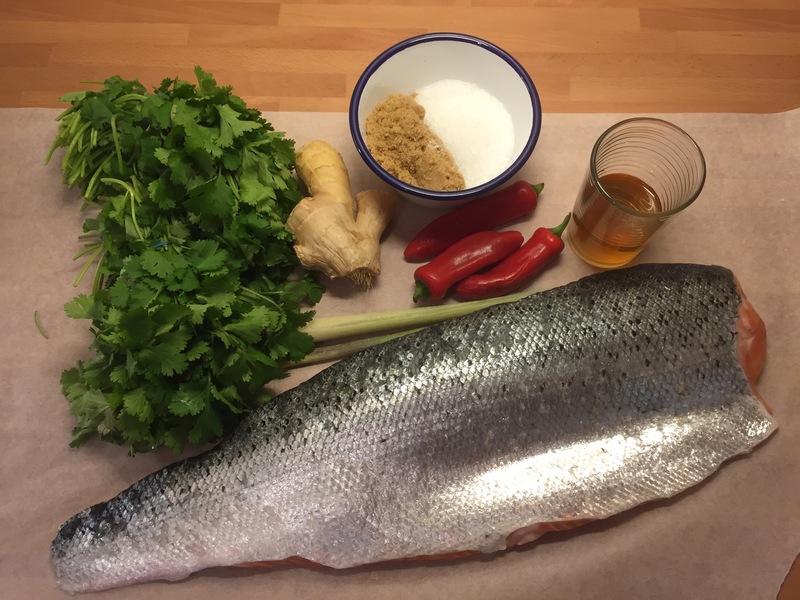 I mixed all the ingredients ( coriander, chilli, ginger, lemon grass, salt and sugar) together then rubbed it into the salmon with some rice wine and let it cure for 3 days. 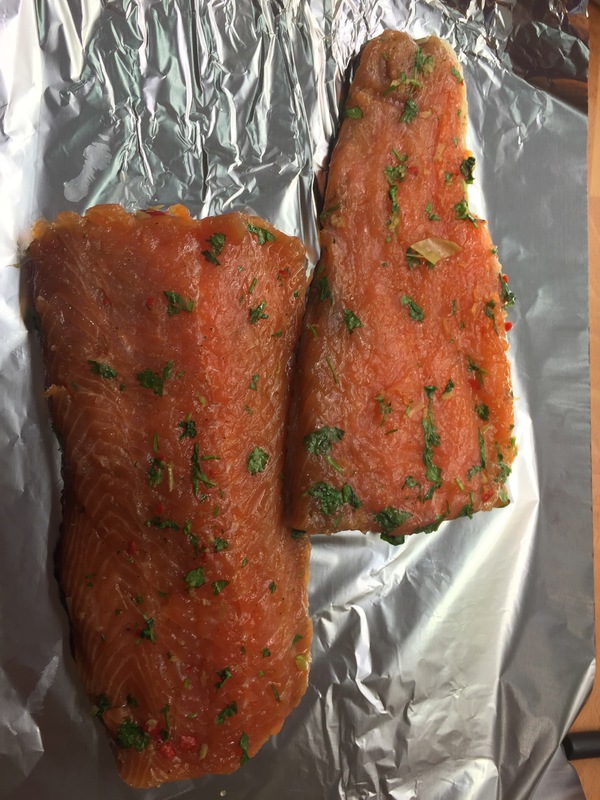 The salmon was the same lovely firm texture as the other cures I’ve tried but had a great zingy fresh taste with just a little bit of the chilli heat coming through. It tastes great sliced and served with an Asian salad. As some people were asking for some I thought I’d also get some decent packaging and a label printer. This enabled me to present the gravlax nicely, who knows it could spin into a little business in the New Year…… Look out for more from the Rowanwood Kitchen! 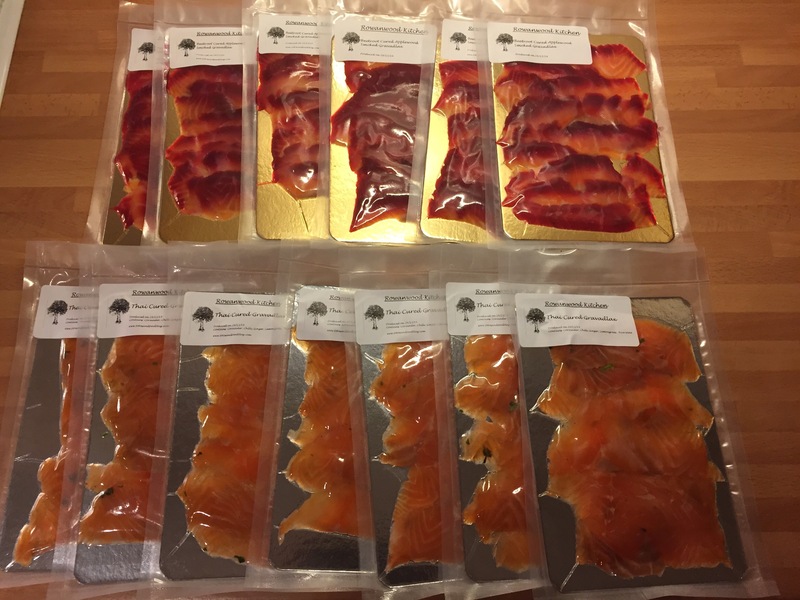 This entry was posted on December 27, 2014 by paulb in DIY Food, Fish, Preserving, Products.